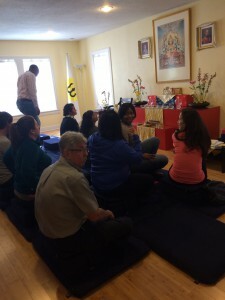 Over 30 people filled our main meditation hall to capacity for our first ever DreamWeek event. As part of the city-wide celebration of Dr. Martin Luther King’s vision, participants in the Turning the Mind Into an Ally class explored how meditation practice can change us and the world. Along with receiving formal meditation instruction, participants had powerful discussions on how to bring qualities uncovered through regular practice into everyday life.